The island of Saint Lucia will have the capacity to simultaneously accommodate two Quantum-class cruise vessels in January 2018. Construction of the dolphin berth at Pointe Seraphine Cruise Terminal remains on schedule, and the berth extension project—the final phase—is also back in service for regular ships as of December 10, according to the Saint Lucia Air & Sea Ports Authority. The much-anticipated extended berth will waste no time in welcoming its first Quantum-class vessel, with Anthem of the Seas visiting on January 13, 2018. 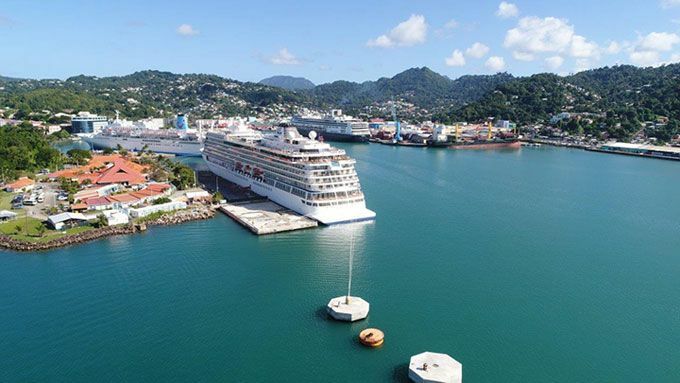 The extended berth and Quantum-class calls will help Saint Lucia continue its cruise tourism surge. Saint Lucia has already recorded a 19.4% increase in cruise passenger arrivals for 2017, and its 2017/2018 cruise season is poised for a record-breaking number of passengers—more than 800,000. Having been spared all major hurricanes and storm systems throughout the 2017 hurricane season, the island is excited and ready to welcome travelers. Saint Lucia continues to promote its “100 things to do in Saint Lucia” throughout this winter to ensure one-of-a-kind, memorable experiences for all visitors.